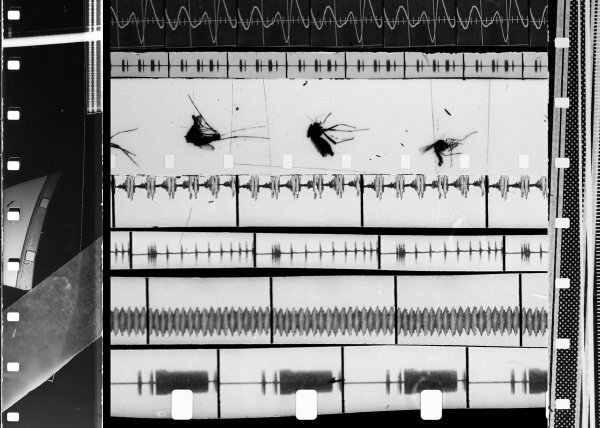 Microscope Gallery is very pleased to present an evening of moving image and sound performance works by Sarah Halpern in connection with her current solo exhibit "The Changing Room". The artist's 35mm film strip and vocal performance pieces in "Film, Paper, Sound" reflect themes of transformation, dualism, and the differences in individual perception and are related to the works on view at the gallery. In the new 35mm film strip projection collage "Watch" Halpern correlates time to magic tricks combining images from clippings about Houdini's graphic notes explaining how certain tricks are performed, recent pocket watch collector's catalogues, and fragments of texts from books about early cinema technology. The second piece "Strip" is a projection through a complete molted snake skin, which the artist found in a garden, stretched across a film strip. Featuring experimental film works made during a September 2014 residency at LIFT, the Liaison of Independent Filmmakers of Toronto. The artist residency was funded by the National Lottery through Arts Council England, Canada Council for the Arts and MIRIAD. 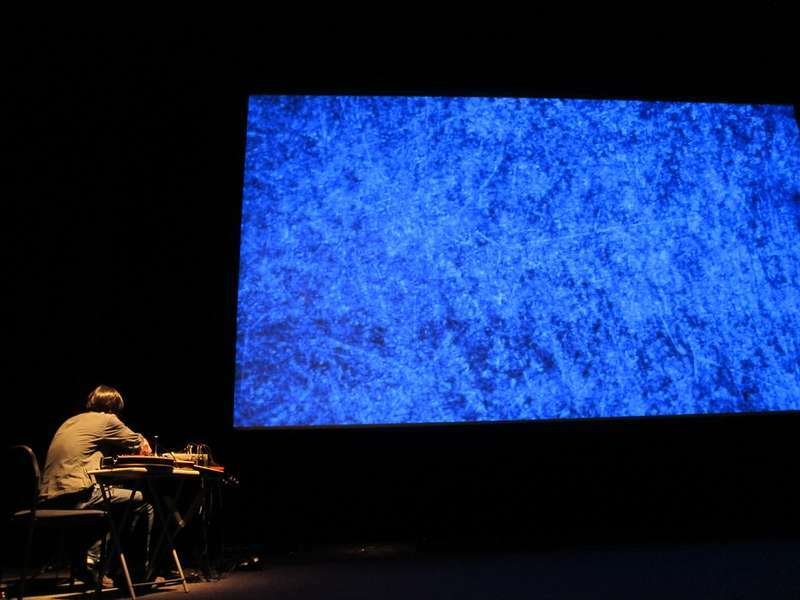 Sally Golding combines film projection, lighting and sonic composition to create performances and installations. Golding has developed works where she projects films directly onto her body and harnesses the audience’s reflections, creating live cine-sculptures and interactions. Photographic compositions printed as optical soundtracks and decomposed uprooted vinyl library music, neatly situate Golding’s work at the crossroads of science and superstition, philosophy and pulp. Golding’s projects thread between expanded cinema and media art, curation and audiovisual archiving evolving a practice of ‘hacked cinema’. 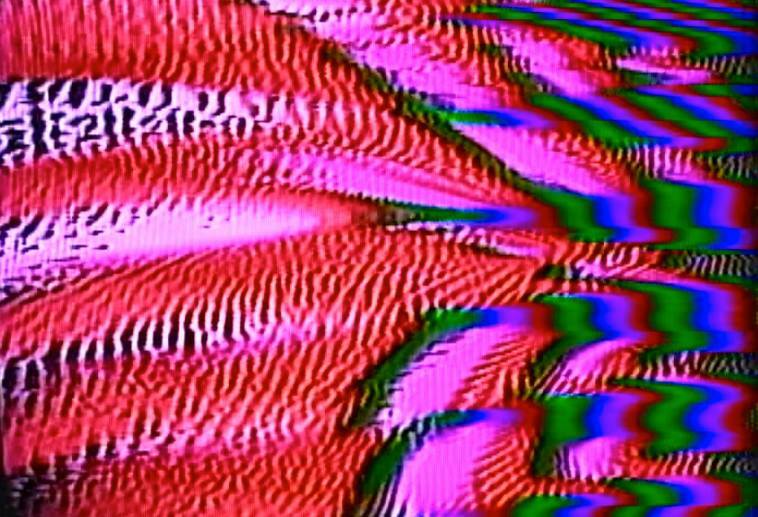 Golding curates the expanded cinema and sound art series Unconscious Archives (London), and is co-curator and co-founder of OtherFilm (Australia) dedicated to experimental, expanded and other forms of art. 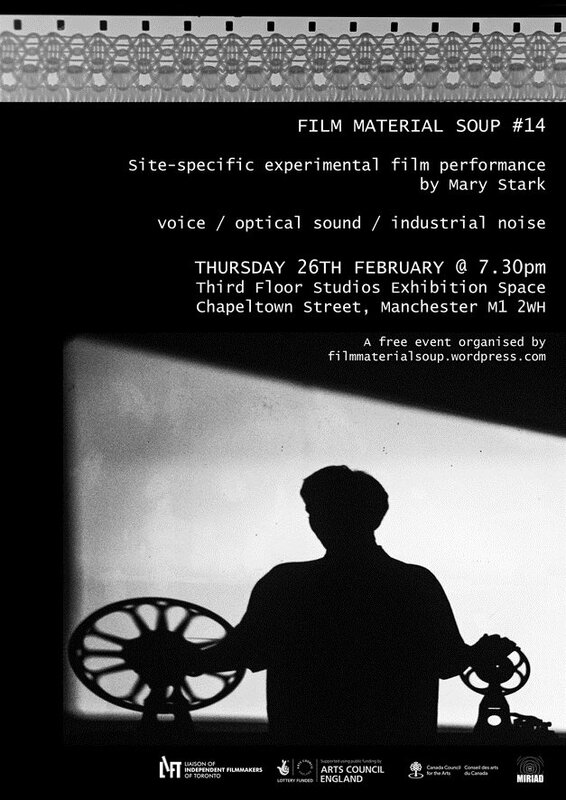 Participants will cut and splice sonic compositions from existing sound film and create handmade optical sound. 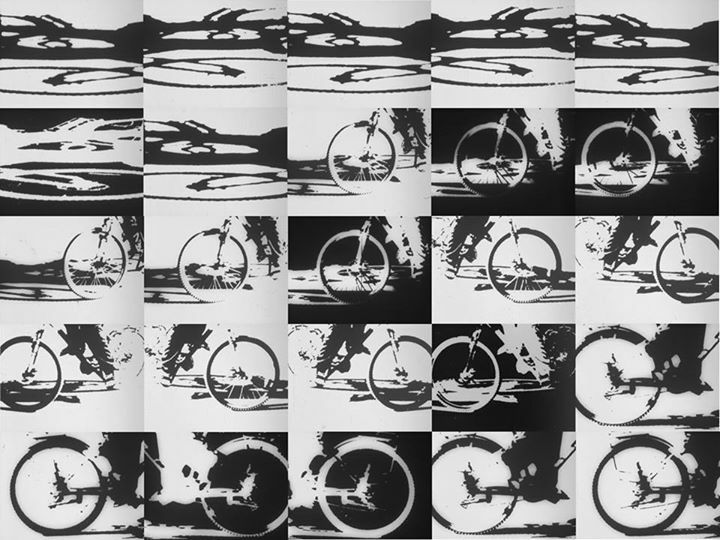 Handmade film techniques can be applied to create image to compliment or juxtapose the sound compositions. 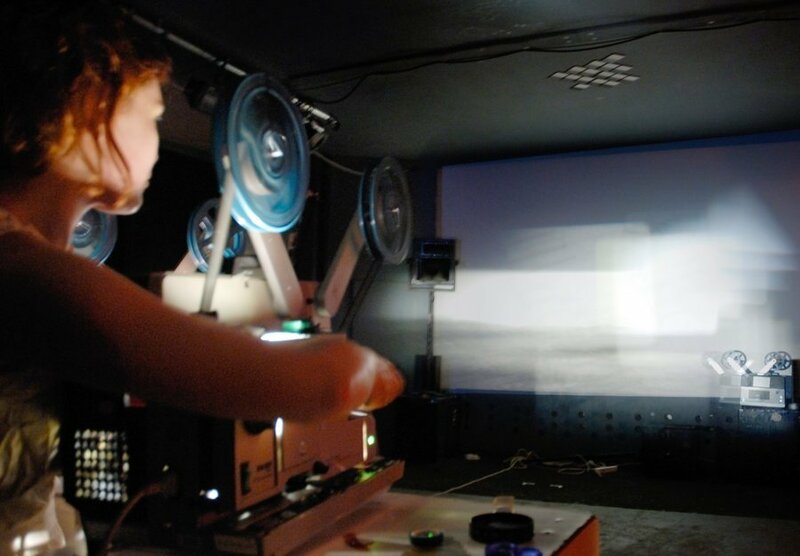 Participants will then develop ways of playing and interacting with the 16mm film projector - practicing projection manipulations and using devices which interfere with light and sound. 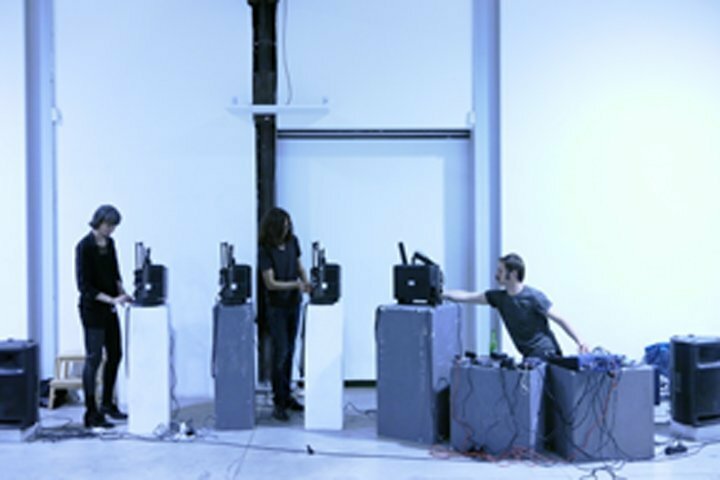 At the end of the workshop participants will play solo or as group to unleash expanded projection and aural improvisations. Strips of sound film will be provided, however participants are encouraged to bring additional devices such as toy refracting lenses and pop filters. 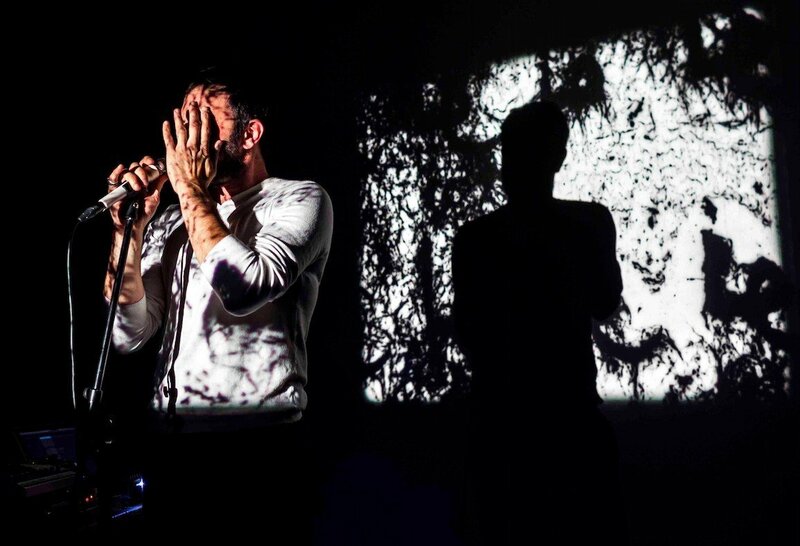 With performances occurring 1-3 times per year, no two Jerusalem In My Heart events have ever been the same: configurations have ranged from 2 to 24 participants, with varying degrees of theatrical stage action alongside a film/video component. 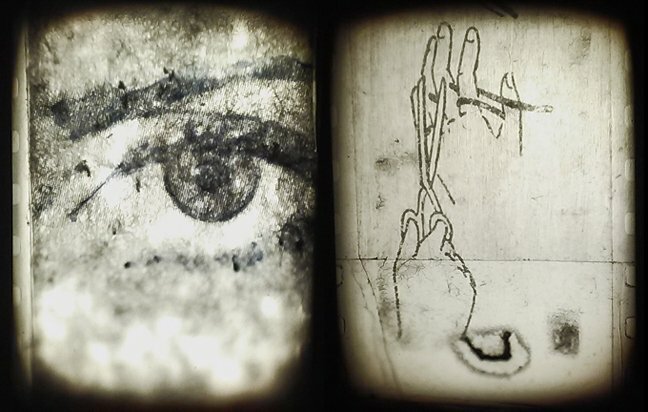 Jerusalem In My Heart currently exists around the core of Radwan Ghazi Moumneh carrying musical duties and Montreal filmmaker Charles-André Coderre projecting hand-made visuals using analog 16mm film & 35mm slides on multiple site-specific screen installations. Moumneh's vocals and purposefully blown-out sonic sensibility have been the consistent thread, but the music of JIMH has never repeated itself either – one of the reasons Moumneh has resisted any official documentation or definitive recording of the project over the past eight years. At long last, in 2012 Moumneh cleared time and mental space to record a song cycle that cements the foundations of JIMH as an intensely vocal-driven musical project.